Recent photos of Kurdish fighters killed in battles with ISIL Takfiri militants in the Syrian town of Kobani suggest that the terrorists have used chemical weapons against the Kurds. The photographs, published by the Middle East Review of International Affairs (MERIA) on Sunday, show that the bodies of three Kurdish fighters were not damaged by bullets, but instead were marked by burns and white spots without any visible wounds or external bleeding. The photos also suggest that the ISIL could possess a huge stockpile of chemical arms. Earlier, Kurdish activists had said ISIL militants carried out a chemical attack in the village of Avdiko in east of Kobani on July 12. 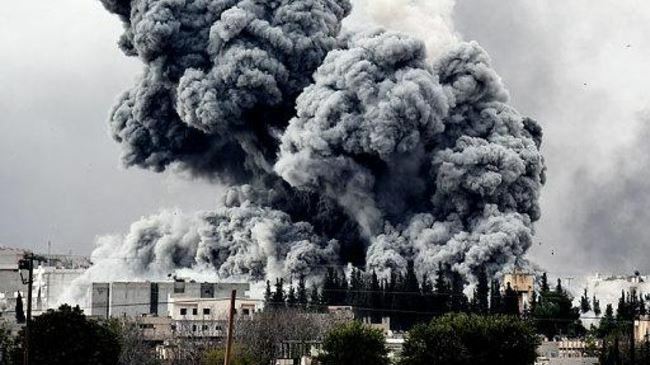 The development comes as on Monday, Kurdish fighters in Kobani managed to hold their ground as automatic gunfire and mortar fire continued in an area less than one kilometer (0.6 miles) from the common border between Syria and Turkey. Meanwhile, the Syrian ambassador to the United Nations has accused Turkey and Saudi Arabia of providing weapons of mass destruction for the terrorists operating inside his country. Bashar Jaafari told a UN committee on Monday that Ankara and Riyadh are involved in giving chemical weapons to the militants, adding that Turkey supports over 100 terrorist groups in Syria. Syria has been gripped by deadly violence since 2011. Western powers and their regional allies — especially Qatar, Saudi Arabia and Turkey — are reportedly supporting the militants operating inside Syria. More than 191,000 people have been killed in over three years of fighting in the war-ravaged country, says the Office of the UN High Commissioner for Human Rights (OHCHR), calling the figure a probable “underestimate of the real total number of people killed.